Helen's expectations were far from starry-eyed, but married life with Frank in the late 1960s seemed bewilderingly joyless; from the honeymoon in a seedy Paddington hotel complete with dirty linen and a nosy landlady, her new husband drinking until all hours with a shady 'friend', their first home in his parents' Irish pub, in a provincial backwater town. Frank's father was his own best customer, his mother a shrill and censorious presence in the background, with the local priest as her only friend. 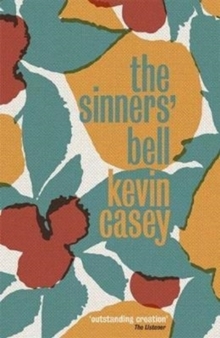 Would she allow a sense of hopefulness to creep upon her when she finds out that a baby is on the way?The Sinners' Bell is Kevin Casey's first novel, published in 1968 by Faber & Faber. He reveals a striking capacity to convey with sympathy and unsentimental understanding the feelings of the inarticulate, and his portrayal of Helen's struggle to come to terms with her own unhappiness is profoundly moving. Atmospheric and finely written, this expose of a shotgun wedding and subsequent marriage is a jewel of narration, and a reissue that is long overdue.